The sequencing of 831 clones from an enriched microsatellite library of Melaleuca alternifolia (Myrtaceae) yielded 715 inserts containing repeat motifs. The majority of these (98%) were dinucleotide repeats or trinucleotide repeats averaging 22 and 8 repeat motifs respectively. The AG/GA motif was the most common, accounting for 43% of all microsatellites. From a total of 139 primer pairs designed, 102 produced markers within the expected size range. The majority of these (93) were polymorphic. Primer pairs were tested on five selected M. alternifolia genotypes. Loci based on dinucleotide repeats detected on average a greater number of alleles (4.2) than those based on trinucleotide repeats (2.9). 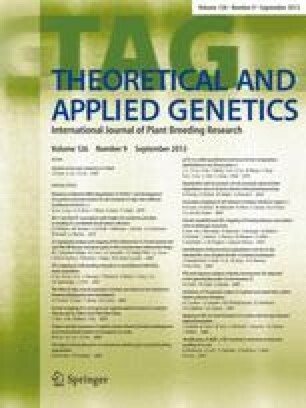 The loci described will provide a large pool of polymorphisms useful for population studies, genetic mapping, and possibly application in other Myrtaceae.